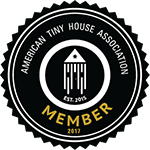 Our home town hosted a fantastic tiny house festival on April 7th and 8th to illustrate the latest in tiny home living trends. Produced by LocalShops1, the St. Pete Tiny Home Festival & Live Local Expo featured tiny houses, micro-homes, food trucks, mobile boutiques, artists, vendors, workshops, entertainment, children’s activities and more. The festival web site has a gallery of beautiful photos from the event. Here are some additional photos from the festival. It was a great variety of houses ranging from 125 to nearly 400 square feet. We saw some unique solutions to storage solutions, power and water, and comforts rarely seen in a tiny house.